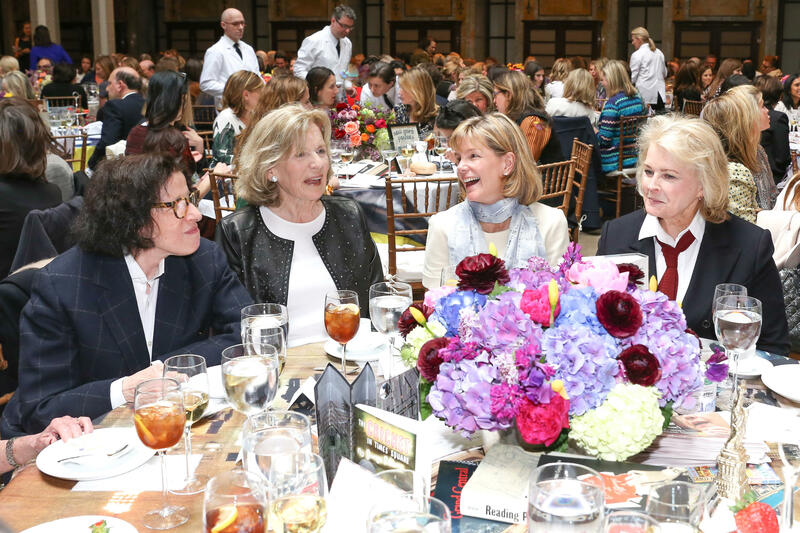 EACH YEAR AT THE LIBRARY LUNCH, LIBRARY SUPPORTERS GATHER UNDER THE HISTORIC GLASS DOME OF THE CELESTE BARTOS FORUM TO ENJOY LUNCH IN THE COMPANY OF FRIENDS AND HEAR FROM TODAY’S MOST PROMINENT WRITERS. PAST LUNCH PROGRAMS HAVE FEATURED SUCH LUMINARIES AS HILTON ALS, NORA EPHRON, JHUMPA LAHIRI, GARY SHTEYNGART, AND ZADIE SMITH, AND HAVE COVERED A WIDE RANGE OF TOPICS INCLUDING ART AND POLITICS, HUMOR WRITING, AND POETRY. Illustration by Barry Blitt, The New Yorker cover artist, exclusively for The New York Public Library. Jennifer Egan is the author of several novels and a short story collection. Her latest novel, Manhattan Beach, a New York Times bestseller, was awarded the 2018 Andrew Carnegie Medal for Excellence in Fiction. Her previous novel, A Visit From the Goon Squad, won the 2011 Pulitzer Prize, the National Book Critics Circle Award, and the Los Angeles Times book prize. Also a journalist, she has written frequently for the New York Times Magazine—most recently about pregnancy and childbirth among opioid-dependent women. She is currently President of PEN America and Artist-in-Residence at her alma mater, the University of Pennsylvania. Min Jin Lee is a recipient of fellowships from the Guggenheim Foundation and Radcliffe Institute of Advanced Study at Harvard. Her novel Pachinko was a National Book Award finalist, Dayton Literary Peace Prize runner-up, Medici Book Club Prize winner, and New York Times 10 Best Books of 2017. Lee’s debut novel Free Food for Millionaires was a Top 10 Book of the Year for Times of London, Fresh Air and USA Today. She will be Writer-in-Residence at Amherst College from 2019-2022. David Remnick was named the editor of The New Yorker in 1998. He joined the magazine in 1992, after ten years with the Washington Post, where he was a Moscow correspondent. He is the author of several books, including The Bridge, King of the World, and Lenin’s Tomb, for which he received the Pulitzer Prize for nonfiction. Under Remnick’s leadership, The New Yorker has become the country’s most honored magazine, winning 44 National Magazine Awards and, in a first for a magazine, four Pulitzer Prizes, including the gold medal for public service. Featuring Elizabeth Alexander, Daniel Mendelsohn, David Remnick, and more! W. Mellon Foundation. She previously served as the inaugural Frederick Iseman Professor of Poetry at Yale University, where she taught for 15 years and chaired the African American Studies Department. Professor Alexander is the author of six books of poems and two books of essays, and was twice a finalist for the Pulitzer Prize. Her latest book, the memoir The Light of the World, was named by Michelle Obama as her favorite book of 2015. Daniel Mendelsohn is a frequent contributor to The New Yorker and The New York Review of Books. His books include the international best seller The Lost, winner of the National Book Critics Circle Award and many other honors; a memoir, The Elusive Embrace, a New York Times Notable Book and a Los Angeles Times Best Book of the Year; a translation, with commentary, of the complete poems of C. P. Cavafy, a Publishers Weekly Best Book of the Year; and two collections of essays. He lives in the Hudson Valley of New York. David Remnick was named the editor of The New Yorker in 1998. He joined the magazine in 1992, after ten years with the Washington Post, where he was a Moscow correspondent. He is the author of several books, including The Bridge, King of the World, and Lenin’s Tomb, for which he received the Pulitzer Prize for nonfiction. Under Remnick’s leadership, The New Yorker has become the country’s most honored magazine, winning forty-one National Magazine Awards and, in a first for a magazine, three Pulitzer Prizes. Alexia Leuschen, Lunch Co-Chair Abigail Baratta, and Poppy Pulitzer at the 2018 Library Lunch. Our 2018 speakers, Daniel Mendelsohn, Elizabeth Alexander, and David Remnick. Honorary Co-Chair Jennifer Egan and Dambisa Moyo at the 2018 Library Lunch. Sheena Paul and Joanna Rose at the 2018 Library Lunch. Lunch Co-Chair Louise Grunwald and Fran Lebowitz at the 2018 Library Lunch. A special thanks to our 2018 Library Lunch sponsor, Asprey. Dani Shapiro, Kyle Owens, Lunch Co-Chair Zibby Owens, and Caitlin Macy at the 2018 Library Lunch. Our 2018 speakers, David Remnick, Elizabeth Alexander, and Daniel Mendelsohn. Dani Shapiro, Kyle Owens, Zibby Owens, and Caitlin Macy at the 2018 Library Lunch. David Remnick, Elizabeth Alexander, and Daniel Mendelsohn at the 2018 Library Lunch. *Full lineup to be confirmed shortly. 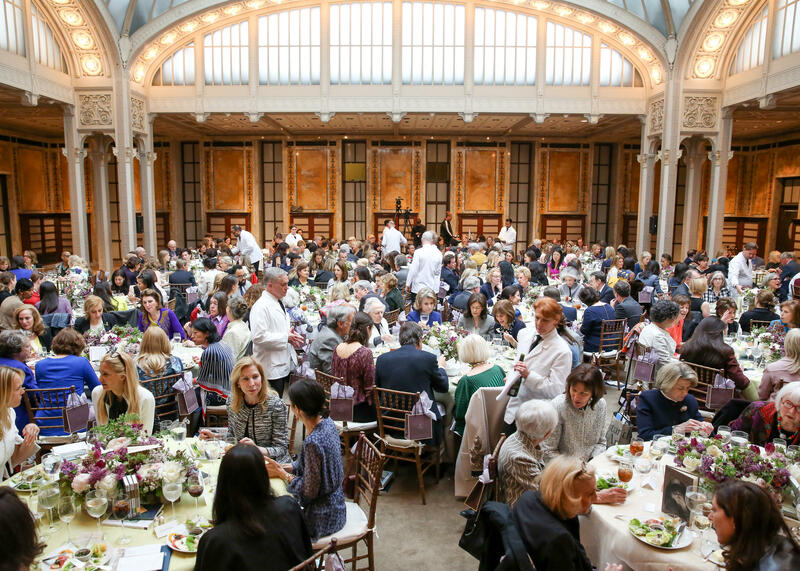 To learn more about the 2019 Library Lunch, please email librarylunch@nypl.org or call 212.930.0889. Table will have a partial view of the stage with seating for 10. A very limited number of partial view tables will be available. *For NYPL Young Lions members only. Can't make it to the 2018 Library Lunch? Make a 100% tax-deductible contribution to The New York Public Library.